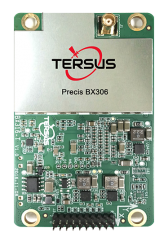 Tersus GNSS Inc., a provider of centimeter-accuracy GNSS RTK solutions, is looking to bring surveying applications to the next level with the launch of Tersus Oscar, a new generation GNSS RTK system. Oscar supports calibration-free tilt compensation function; a leveling pole is not required. It has an easy configuration with a 1.3-inch big interactive screen. With an internal high-performance multi-constellation and multi-frequency GNSS board, the Oscar GNSS Receiver can provide high accuracy and stable signal detection, according to the company. The high-performance antenna is designed to speed up the time to first fix (TTFF) and improve anti-jamming performance, and the built-in large capacity battery can support up to 10 hours of fieldwork. The radio module in the package supports long distance communication. With the rugged housing material, Oscar can be protected from harsh environments. For more information on the TC20 Controller, click here.